– It is a great honor for me to participate in the forum "OGT-2018" on behalf of my company. I am also very pleased that our pavilion is among the many expositions of the world's leading companies. This exhibition brought together the most famous companies from all over the world, and all have one goal – to demonstrate their achievements in the oil and gas industry and the development of cooperation with Turkmenistan. In my opinion, this proves the reliability of Turkmenistan for mutually beneficial cooperation. Within the framework of this forum, our company was awarded a diploma for the 4th place in the nomination "the best design of the exhibition stand and advertising material". This made us very happy, thank you very much to the Turkmen side for such a high assessment of our work. I have visited your Sunny country many times. Due to the fact that most of the activities of our company took place in the Caspian sea, and the fact that I worked in the city of Khazar, Turkmenistan left me with pleasant memories. Every time I stay in Ashgabat, I see how your capital is developing. White marble buildings, houses of extraordinary beauty are pleasing to the eye. We are very pleased with the success of your country. I think that we will cooperate for many years to come. 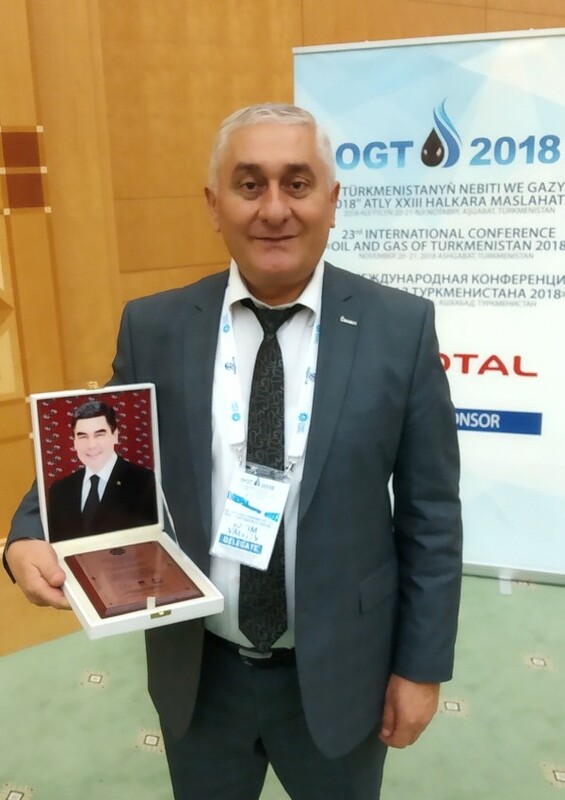 Taking this moment, I congratulate Turkmenistan on the successful holding of the international exhibition of the conference "oil and gas of Turkmenistan – 2018" and wish your friendly people further prosperity.